“My husband and I were in Savannah this weekend. We had been to Jazz’d on our last visit over a year ago and enjoyed it enough to want to go back this time. Ok…I remember enjoying it, not moaning like Meg Ryan in “When Harry Met Sally”. Everything we tried was killer. The Not Yo Moma’s Street Tacos were so flavorful I could have eaten 5. 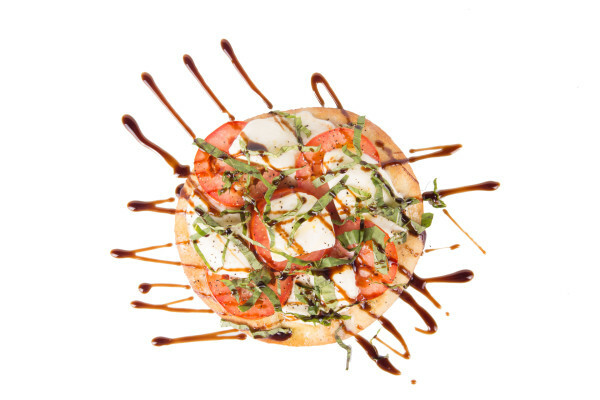 The Caprese Flatbread = POW. I could have this everyday. I think we had something else but honestly…food blur. I DO know we ended with Chicken Cheesesteak Eggrolls. Dear Lord. They were amazing. Everything was….so much so – we went back the next night. We NEVER do that! The only thing we repeated was the eggrolls but my husband is still talking about the ribs. “When vacationing it’s always wonderful when you find a special dining establishment that leaves you smiling even during your journey home. But Jazz’d is about more than food. It’s a comfortable, cozy venue where you can enjoy music at a reasonable sound level. We visited twice during our four (4) day stay in Savannah listening to blues, country rock artists that were quite good. The place looked curious on the outside so we ventured down the steps. 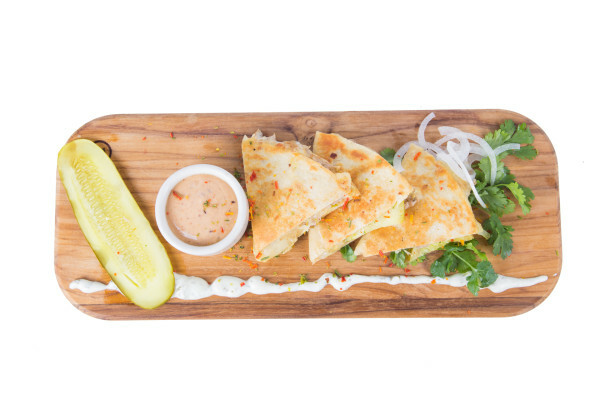 We’ve always preferred tapas menus simply because more selections can be ordered – more to experience. Our first night – seated at a comfortable table for two in the rear our selections included the “Baked Cheese Terra Cotta Plate”. A wonderful selection of assorted cheese with fruit and toasted baguettes. The “Chorizo Sliders” were a tremendous highlight. Sausage and beef sliders with goat cheese and caramelized onions – we ordered this dish the second night as well. We did the same with the “Blackened Tuna Napoleon”. Flavors galore here – a must order. The “Crawfish Cakes” were ordered as well. While good it wasn’t on the same level as the above mentioned plates. First night service was excellent – sincere. On her own our waitress noticed we needed more toasted baguettes for our cheese selection and immediately brought them over – thank you. On our next night we were seated at a table closer to stage yet we were able to converse during the music set – nice acoustics here. For the record we mostly listened as the soft country rock band was enjoyable. Additional menu orders – “Caprese Flatbread” with tomatoes / mozzarella and the “Blackened Salmon”. Not one poor selection over both nights. There are plenty of other selections on this two-sided menu. If we lived here we would’ve eventually “run the menu”. Note: As with food – the wine selections here are priced beyond reasonable (yes – we’re not in NY – understood). We ordered a bottle of “La Fiera Pinot Grigio” – a steal at $22. Our finest dining experience in Savannah. “Great service. The food was delicious! Between 2 people we had the Honey Bourbon Pork, the Steak Diane & the Prosciutto Spaetzle Carbonara, which was a pretty big serving. Also had a bottle of Block Nine pinot noir; inexpensive and so so good. For dessert we had a chocolate tort (i think) which was pretty good. “I had been wanting to dine at Jazz’d since moving to Savannah and decided to dine here for my birthday the other night. I knew by the menu that it was going to be a more “american” style tapas as opposed to Spanish style. Our waitress also explained the same thing. We decided on the tapas for 2 for $65. My husband had the Cesar salad and loved, I had the jazzd spring mix salad and I was just as happy. We got the firecracker shrimp, Cuban quesadillas, tenderloin beef tips and pork tenderloin. We actually enjoyed the two lighter tapas most, the shrimp and quesadilla. Everything was fabulous though. My meat favorite was the beef tips. They were in a gravy with an extremely strong blue cheese flavor. We are fans of blue cheese but it was a little overwhelming. We got the flourless chocolate tart and bread pudding for dessert. Both were very vey good but we were so full we could not finish it. I also had a sangria which I loved and absolutely recommend. It had muddled fruit on the bottom which was really flavorful. The atmosphere was comfortable and hip. Although pretty dead at 6:30 pm on a weekday. The service was fabulous. Our waitress was very knowledgeable and friendly. The live music was a young woman playing acoustic guitar and singing lovey songs. Her voice was great but I was really really hoping for more of jazz style live music. “My boyfriend took me here as a surprise for our first night in Savannah. Everything was excellent. The restaurant service is impeccable and you can tell all the waitstaff operates with the utmost professionalism. Food is served as tapas style. My boyfriend ordered a soup and I got a salad. We split the terra cotta cheese plate which we completely annihilated and almost licked the plate (seriously not kidding) stop reading the rest of this review and order the cheese plate already! For our main entree I ordered lamb chops which were cooked perfectly medium rare with a Mediterranean rub. He ordered the Cuban quesadilla which was also excellent.